No one likes to see a child in pain. The good news is that most simple cuts, bumps, bruises, and other “boo-boos” can be capably handled at home by a parent, grandparent, or older sibling. However, every now and then your little one may have to deal with a problem you might not know how to deal with. Although anyone can develop an ingrown toenail, children are especially likely to suffer. If you’re not familiar, an ingrown toenail occurs when part of the nail border (on one or both sides) curves into the skin instead of staying above it. This can cause swelling, redness, and sometimes intense pain and tenderness for your child. Playing or even putting on shoes can become difficult. Worse, you may not know the best way to help your child. Fortunately, ingrown toenails can be easily fixed by a podiatrist—and often in a way that can permanently prevent them from returning. But before we get into that, let’s take a look at the four biggest causes of ingrown toenails in children. 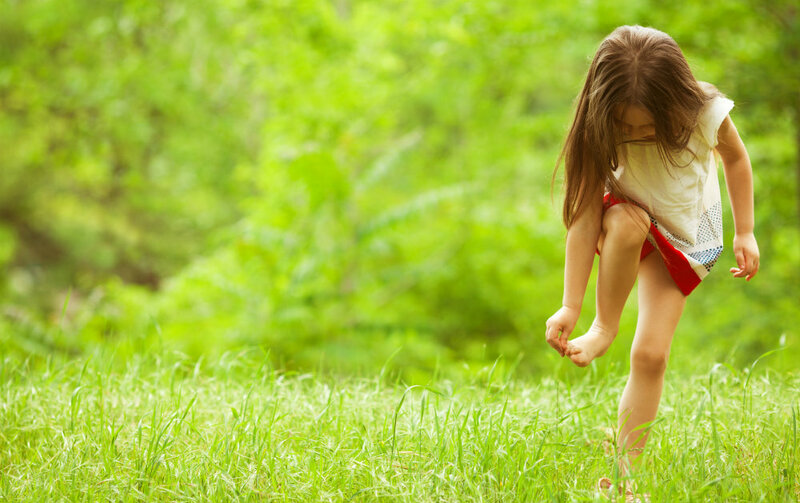 Stop us if you’ve heard this one: kids’ feet grow really fast. That can make keeping them in good shoes that fit properly a nightmare. But it’s important that you try anyway, because the wrong size shoes can harm their developing feet in many different ways. That includes the formation of ingrown toenails. If the shoes are too short or too tight in the toe box, it creates constant pressure that can press toenails inward. But shoes that are too big are no better. They have a tendency to slide around on a child’s feet, which causes the toe (and toenails) to slam into the front of the shoe over and over again. If you want to help your kids avoid ingrown toenails (among other foot problems), make sure you’re checking the fit of their shoes regularly and replacing them with a properly fitting new pair when the old ones get too small. Like shoes, this is another “Goldilocks” scenario—you don’t want to cut your child’s nails too short or leave them too long. Let’s start with length. In short, leave a little length on the end. While you definitely don’t want them peeking over the tip of the toe, there should be at least a couple millimeters of room—enough to slide your fingernail under the sides and ends. Now, tools. Although kids’ nails generally aren’t as thick as adult nails, it’s still good practice to use a dedicated set of toenail clippers, rather than re-using the same set for the fingernails. Toenail clippers tend to have shallower curves, and they’re heavier, wider, and have more leverage to deal with the thicker nails. Plus, using different sets of tools minimizes the risk of bacteria or fungal transmission from one place to another. Finally, the when. Trim your kids’ nails when they’re dry—not after a bath or shower. Wet nails are more likely to tear or bend, making a clean and safe cut more difficult. If your child is old enough to manage nail clipping on his or her own, make sure you teach them these important habits so they don’t cause problems for themselves. Ingrown toenails may be preceded by both traumatic injuries as well as overuse injuries. That means, obviously, if your little ones drop heavy books on their feet or stub their toes, ingrown nails may be the result. However, even the repetitive “trauma” of kicking a soccer ball all day or slamming into the front of a shoe that’s too loose can produce the same effect. That’s not to say you should discourage your kids from active play, of course! Just something to keep in mind—and again, making sure they’re wearing appropriate and good-fitting shoes can make a big difference. Unfortunately, even if you and your child do everything “right,” it may still just come down to luck of the genetic lottery. If your child simply has toenails that are little more curved from side to side than “normal” or optimal, ingrown toenails may form over and over again without any external force or pressure acting on them. Occasionally we see kids with ingrown toenails even before they begin walking or wearing shoes. So What Do I Do If My Child Gets an Ingrown Toenail? As we said near the beginning of this blog, ingrown toenails are easily fixed by a podiatrist. And that’s really the direction you should go. Although some home remedies might be successful, it isn't worth the risk that your child will spend more time in pain—or even develop an infection. The hardest part of the procedure for most kids is the shot of local anesthetic; while we understand that many kids do have a fear of needles, we do our best to provide a calm and safe environment for them. The procedure we recommend includes removing a portion of the underlying nail matrix. What this means is that the edge of the nail border causing the ingrown toenail won’t grow back. The nail will be permanently a little narrower than before, yes, but should still look and feel pretty normal. So don’t worry, and don’t let your child continue to suffer! Take your little one in to the Fixing Feet Institute right away for treatment. You can schedule an appointment with our office by filling out our online form, or by calling (623) 584-5556.